The ACLJ is once again taking the anti-Israel Deep State back to federal court, this time over allegations that it is burying a U.N. agency’s fraud and joining the U.N. in circumventing international law. Monday the ACLJ filed its latest FOIA lawsuit concerning its request to the State Department for records about the United Nations Relief and Works Agency for Palestine Refugees in the Near East (UNRWA), including a particular U.S. report on UNRWA which, according to recent media attention, indicates awareness by State Department officials of fraud by UNRWA. We initiated the FOIA request on February 5, 2018, following news reports that the Obama State Department created a report concerning UNRWA relief to Palestinian “refugees” but unnecessarily (and thus improperly) gave it a “Classified” designation to prevent the information from reaching Congress and the public. According to press coverage, the UNRWA report was commissioned in 2015 by former Senator Mark Kirk (IL), who was seeking information on the number of Palestinian “refugees” served by UNRWA who actually lived in the territory now known as Israel between 1946 and 1948. Rather than providing Congress with the completed report, it appears the State Department classified the report and has withheld it from outside eyes, going so far, the media reports, as to ignore a 2017 congressional directive that the Department produce an unclassified version of the report. 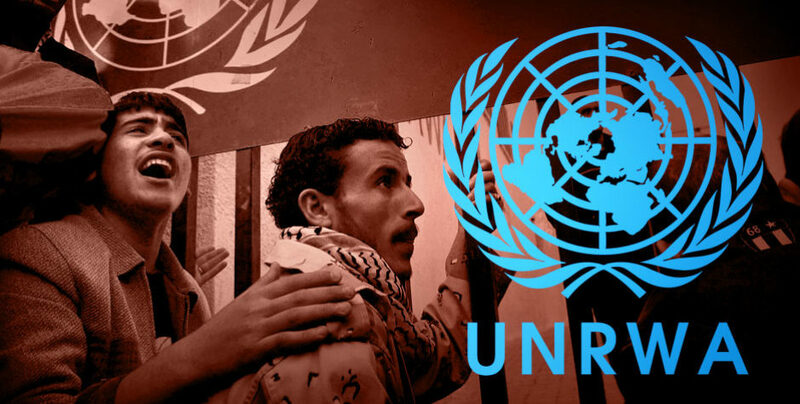 The report is said to confirm that the number of Palestinian “refugees” is only in the tens of thousands, rather than, as UNRWA claims, the millions. While the ACLJ is categorically opposed to the government labeling or treating the Palestinians as “refugees” of any kind, the State Department has decided to play UNRWA’s game of improperly labeling Palestinians as “refugees” of a war Israel didn’t start. It has bought into the leftist, Palestinian, U.N. narrative that Israel is an aggressor nation – rather than one trying to protect its sovereignty and citizens – and that because Palestinians have no nation of their own (a choice made, ironically, by the Palestinian leadership itself in rejecting multiple two-state scenarios offered by Israel), they are “refugees” – a specific legal term with international legal repercussions that is blatantly misused in this situation. Labeling Palestinians as “refugees” is legally, factually, and historically incorrect, and it must end. In its own separate effort to induce major changes by UNRWA, the current U.S. Administration has cut millions of dollars from its UNRWA funding. At the same time that this decision and President Trump’s Jerusalem Declaration have created distance with the Palestinian Authority (PA), media reports state that the previous Administration, most notably former Secretary of State John Kerry, has maintained an ongoing relationship with the PA’s leadership. Thus, in addition to the UNRWA report itself and records concerning it, the ACLJ has requested from the State Department additional records concerning UNRWA, Palestinian “refugees,” the recent decision of the United States to cut UNRWA funding, and John Kerry’s dealings with the Palestinian Authority and its representatives. We believe a majority of the American public would vehemently disagree with this conclusion, as the documents we’ve requested concern basic taxpayer oversight of an agency that receives millions of U.S. dollars every year. If those funds are unnecessary or being used for improper purposes, that is undoubtedly a matter of urgency. According to the latest information available from the State Department, the agency’s denial of expedited processing means our request falls into the category for which the average response time is some 653 days (over a year and a half). Because the Freedom of Information Act provides a cause of action for FOIA requesters who fail to receive a proper agency determination within 20 business days, the ACLJ filed this lawsuit so that it can begin to receive responsive records—and discover and reveal the truth about this situation—now.